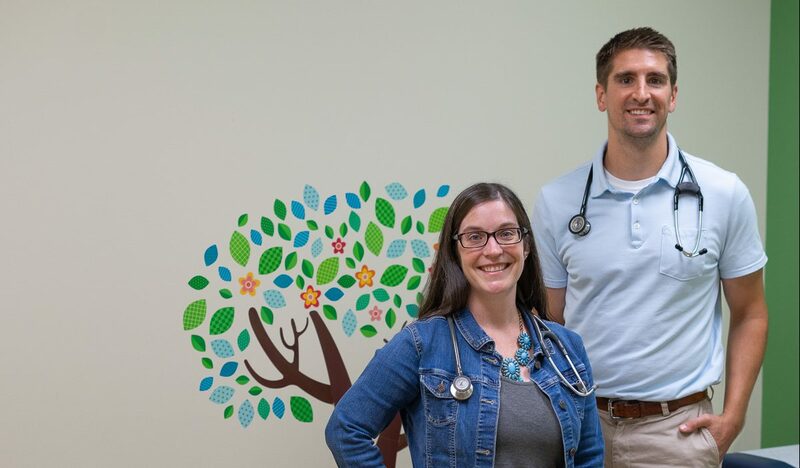 It’s the time of year when short sleeves are replaced by down jackets, which means we’re quickly entering the “cold and flu season.” While we tend to use cold and flu interchangeably, and they’re both respiratory illnesses that tend to surface at similar times, they’re actually separate illnesses caused by different viruses. Because flu and the common cold have similar symptoms, it can be difficult to tell the difference based on symptoms alone. Cold symptoms are usually milder than those of the flu, and colds generally don’t result in serious health problems like the flu can. A sore throat and runny nose are usually the first signs of a cold, followed by coughing and sneezing. Common colds are the main reason that children miss school and adults miss work. Adults have an average of two to three colds per year, and children have even more. Most people get colds in the winter and spring, but it’s possible to get a cold any time of the year. Most people recover from a cold in about a week. Getting lots of rest and drinking plenty of fluids can help cold sufferers feel better. Over-the-counter medicines may help ease symptoms but will not make a cold go away any faster. Always read the label and use medications as directed. Talk to your doctor before giving non-prescription cold medicines to children, since some medicines contain ingredients that are not recommended for children. Antibiotics will not help you recover from a cold caused by a respiratory virus. They do not work against viruses, and they may make it harder for your body to fight future bacterial infections if you take them unnecessarily. Viruses that cause colds can spread from infected people to others through the air and close personal contact. This can happen when you shake hands with someone who has a cold, or touches a surface, like a doorknob, that has respiratory viruses on it, and then touches your eyes, mouth or nose. Wash your hands often with soap and water. Wash them for at least 20 seconds, and help young children do the same. If soap and water are not available, use an alcohol-based hand sanitizer. Viruses that cause colds can live on your hands, and regular handwashing can help protect you from getting sick. Stay home while you are sick. Avoid close contact with others, such as hugging, kissing or shaking hands. A cough and sneeze into a tissue and then throw it away, or a cough and sneeze into your upper shirt sleeve, completely covering your mouth and nose. Disinfect frequently touched surfaces and objects, such as toys and doorknobs. 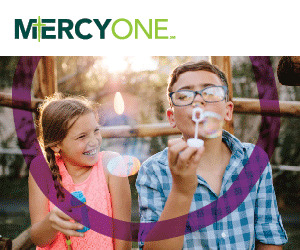 Mercy Clinics Family Medicine Waukee. 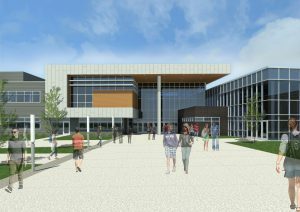 As the Waukee Community School District begins construction in October on its second high school, the City of Waukee has plans to turn the adjacent 66-acre property into the Waukee Youth Sports Complex & Park. But, don’t let the word “youth” fool you: the new amenity will benefit community members and visitors of all ages and abilities. 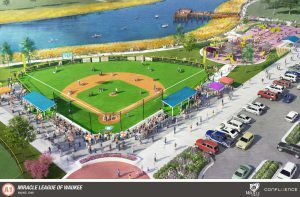 Construction on Phase I of the Waukee Youth Sports Complex & Park will begin in the spring of 2021. Phase I will include eight softball/baseball fields and two practice quads with batting cages. 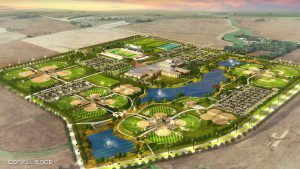 These fields will accommodate youth softball players ages 18 and under, as well as youth baseball players ages 10 and under. In Phase 2, four larger baseball fields will be added to accommodate players up to age 14. The need for a complex of this sort has been growing in recent years. VandeKamp said the investment in an amenity of this magnitude will not only benefit local athletes, but it should also catch the eye of regional tournament planners. In addition to ball fields, the City plans to construct playgrounds, a lake, trails and parking. The Waukee Youth Sports Complex & Park is expected to open in 2022. Nearly half of the project will be funded through a Public Improvement Fund set up by Apple; the remainder will be financed by revenues from the Dallas County Local Option Sales & Services Tax. These new funding sources make it possible for the City to complete this project without the use of property tax revenues. 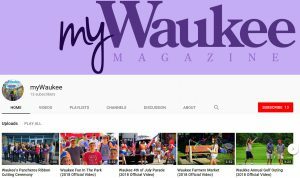 In partnership with the City, the Waukee Betterment Foundation recently launched a fundraising campaign for the Waukee Miracle League® Ball Field and Play Area, as well as an all-inclusive fishing pier, all to be included at the Complex. 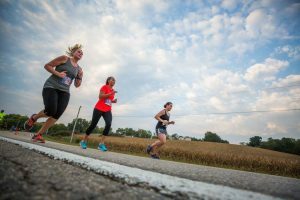 The goal is to raise $2.5 million to put toward these specialized amenities. 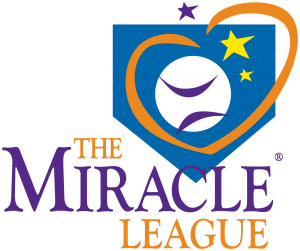 The Miracle League field will serve those with disabilities by way of its custom-designed, rubberized turf field which helps prevent injuries and provides easy access for wheelchairs and assistive devices. An all-inclusive play area with the same material and specialized equipment will also be installed near the field. It can be enjoyed by all visitors. In addition to sports and play, new fishing opportunities will also be available. The City is constructing a 12-acre lake at the park, and the Foundation is working to ensure its fishing pier suits everyone. 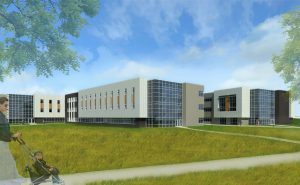 The Waukee Betterment Foundation’s goal is to have the all-inclusive projects within the complex completed by 2022. 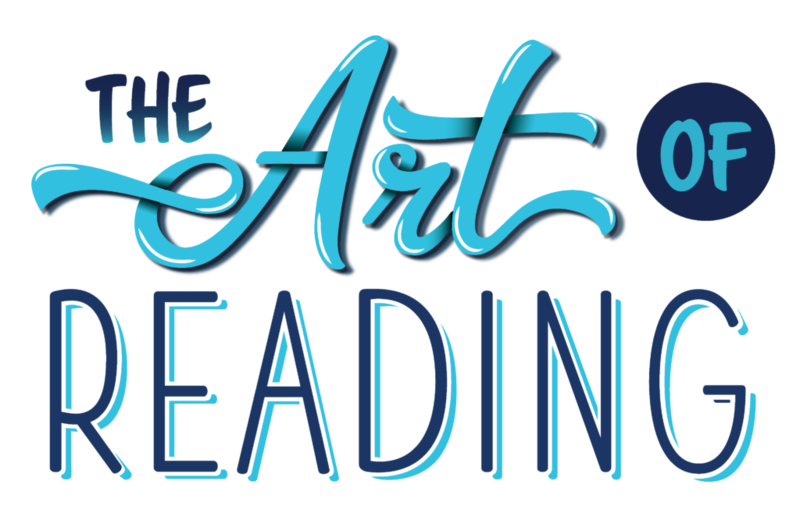 To learn more about supporting this initiative, visit WaukeeBetterment.org or call Jim Miller at 515-224-5516. 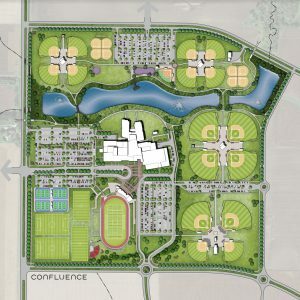 To follow the progress of the Waukee Youth Sports Complex & Park, as well as other park projects occurring within Waukee, visit Waukee.org/parksandrec. You don’t have to look far in the Des Moines metro area to find a good burger. From the classics at B-Bop’s to the slightly less conventional choices at Zombie Burger, there’s something to suit every taste. And now customers have an intriguing new option in Waukee: Central Standard Burgers. 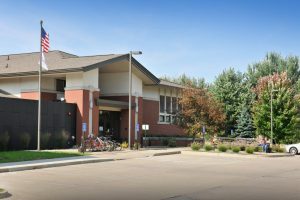 Central Standard, located at 1222 SE University Avenue, is the second location of a restaurant that got its start in Bettendorf, Iowa, about five years ago. According to general manager Andy Crounse, the restaurant was developed as an alternative to more traditional “cookie-cutter” burger joints. According to Crounse, the menu at the Waukee location will look very similar to the one in Bettendorf, with a few differences on the features menu and in the cocktail offerings. For example, a “Warrior Lemonade” mocktail will appear as a Waukee-specific item. Perhaps unique among burger restaurants, Central Standard bakes all of its own bread, pretzels and buns for their burgers. And these burgers are not slabs of boring beef with nothing but ketchup. Among the dozen or so burger options are the “Oh No,” with cheese curds and fried pickles, and the “Heck No,” with jalapeño poppers and ghost pepper cheese. The menu also includes other sandwiches like the PB & J (that’s pork belly and jalapeño, not the childhood favorite peanut butter and jelly), and various jazzed-up mac and cheese selections (if, like the writer, your taste preferences occasionally lean in the direction of the kids’ menu). The restaurant takes pride in its craft beer offerings, with 24 beers on tap at any given time. These are locally sourced as much as possible. Current options include beers from Exile Brewing Company and Iowa Brewing Company. “They’re all Iowa beers at the moment,” said Crounse. 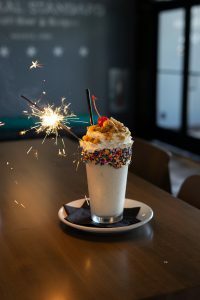 Central Standard is also well-known for its massive, creative shakes—think tall glasses rimmed with candy sprinkles and topped with baked goods. For example, the Cookie Dough shake features an actual cookie sandwich, and the s’more shake— well, you get the idea. All menu shakes can be upgraded to loaded shakes for those over 21. The restaurant also features “Will’s Feature Shake of the Month.” A portion of the proceeds from this specialty shake go to the University of Iowa Stead Family Children’s Hospital, a partnership which has been going strong for about four years, according to Crounse, and one of which they are especially proud. 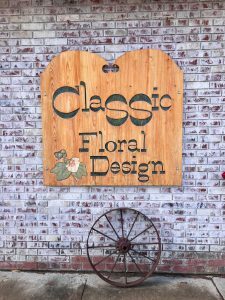 Central Standard had a soft open for family and friends the week of July 23 and officially opened for business on July 30. The restaurant currently has about 65 people on staff, and Crounse says they expect to eventually have around 100 employees total. With plenty of indoor space, plus a patio, the restaurant seats around 280 people. Customers can find their menu and hours of operation online at centralstandardburgers.com. Crounse and his colleagues at Central Standard are excited to bring their unique take on burgers and fries to Waukee. 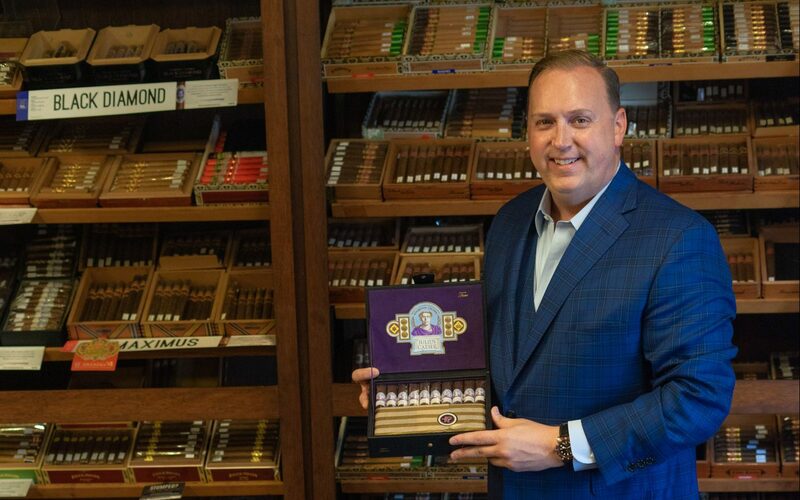 Outside-the-box offerings are their specialty. “We don’t want to be the same old, same old,” said Crounse. 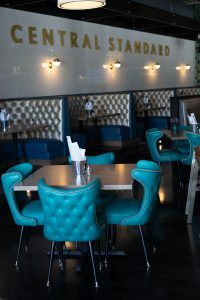 With creative burgers on homemade buns, local craft beers and shakes that provide a lot more than just a cherry on top, Central Standard stands to be an exciting new option for hungry Waukee residents.